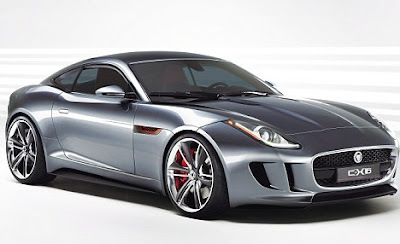 Carnation Auto Blog: Jaguar F-Type: Is It The Coolest Looking Roadster This Year? Jaguar F-Type: Is It The Coolest Looking Roadster This Year? Early this year, at the New Delhi Auto Expo 2012, a number of concept cars made their Indian debut and managed to grabbed plenty of attention. From Chevy's "cute as a button" electric car to Merc's AMG to Jaguar's CX-16, a breathtaking mean machine that drew a lot of 'Ooohs' and 'Aaahs' from the crowd, it wouldn't be wrong on my part of say that concept cars ruled the Auto Expo! For me, CX-16 was a fantastic Concept, not just because of it's really sleek shape and beautiful proportions, but also because of its impressive specifications. Having received plenty of positive buzz from around the world, the company has now decided to launch F-Type, a sparkling new sports car, which is expected to go on sale from 2013. The F-Type, will come with 3 engine choices and like the CX16, will be powered by a 3.0-L, 250HP V6 normally aspirated engine, a supercharged R version with 375HP power, and a 5.0-L V8 engine. Jaguar F sports car, a 2-seater convertible, will be made completely of aluminum. This Jag roadster will be making its international appearance at the Paris Motor Show that begins on 27th September 2012 and this debut will also mark Jaguar's return to the luxury sports car market. If these photographs are anything to go by the new F-Type roadster is an absolute visual delight and perhaps, a great piece of machinery to own!